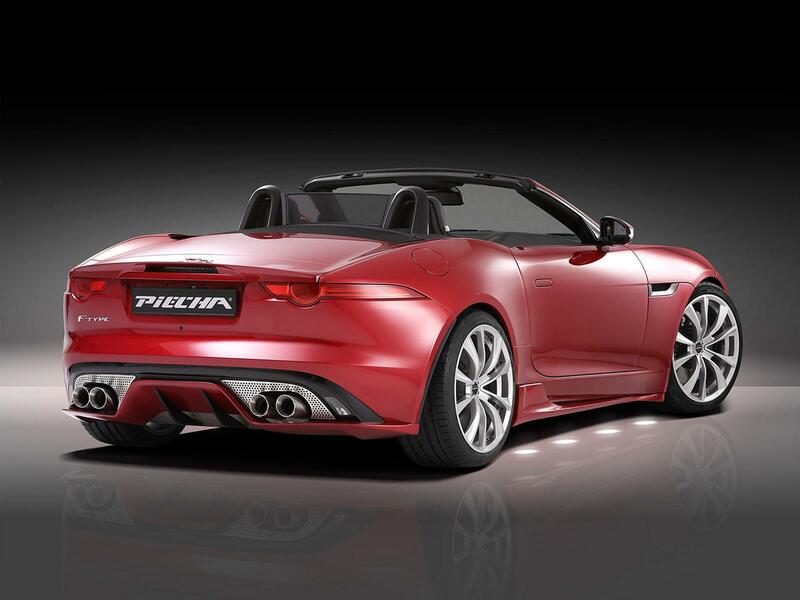 Η Piecha Design βελτιώνει την Jaguar F-Type. Ο βελτιωτικός οίκος έχει τοποθετήσει επιθετικό bodykit αποτελούμενο από νέους προφυλακτήρες, νέα γρίλια, μπροστά spoilers, πλαϊνά skirts, αεροτομή και διαχύτη. Οι αλλαγές να συμπληρώνονται από τις τετραπλές απολήξεις εξατμίσεων διαμέτρου 90 mm η κάθε μια, τα σπορ ελατήρια που μειώνουν την απόσταση από το έδαφος κατά 30mm, τις monoblock ζάντες αλουμινίου 20″, με την εταιρία να προσφέρει και το σύστημα Comfort Varioroof Module που επιτρέπει στους ιδιοκτήτες να ανοιγοκλείσουν αυτόματα την οροφή και τα παράθυρα, πατώντας τρεις φορές το κλειδί του αυτοκινήτου. 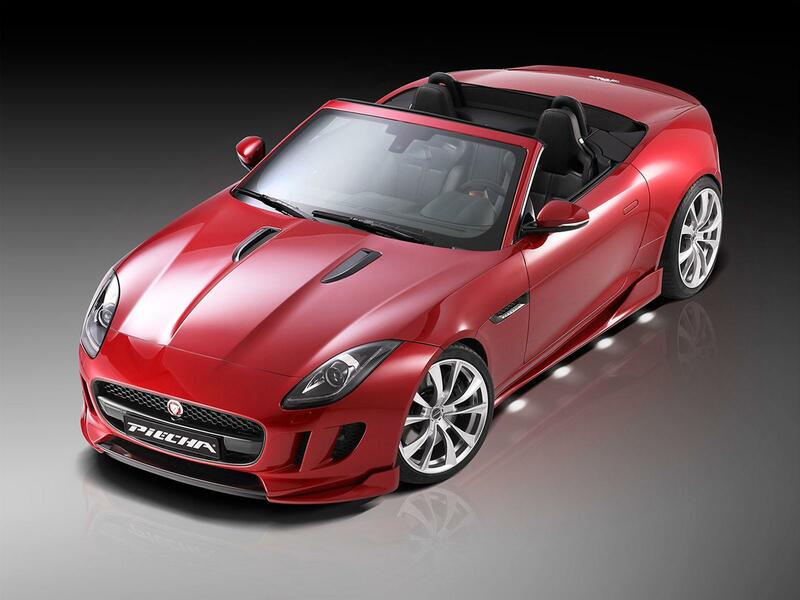 In the two years since the stunning Jaguar F-Type Roadster hit the streets, its cache has continued to grow. 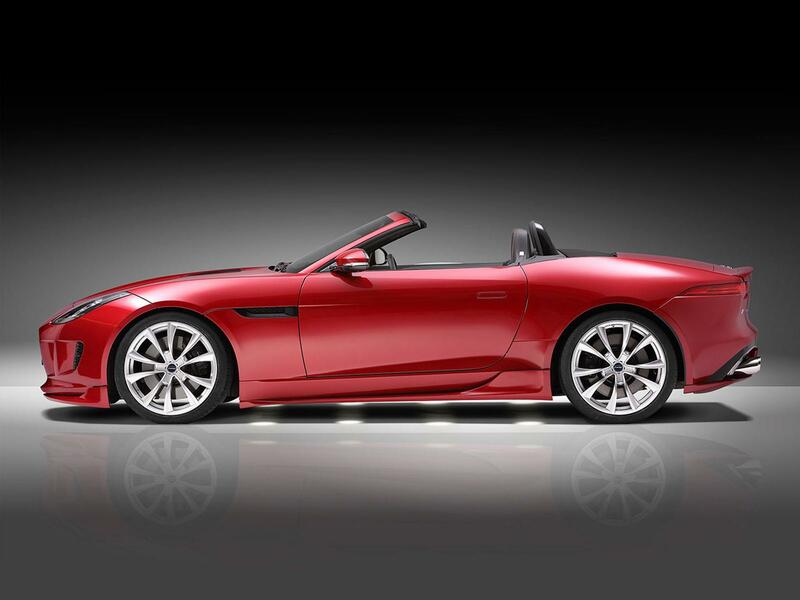 And no wonder, as this purebred roadster is the all-round spiritual successor to the legendary Jaguar E-Type. 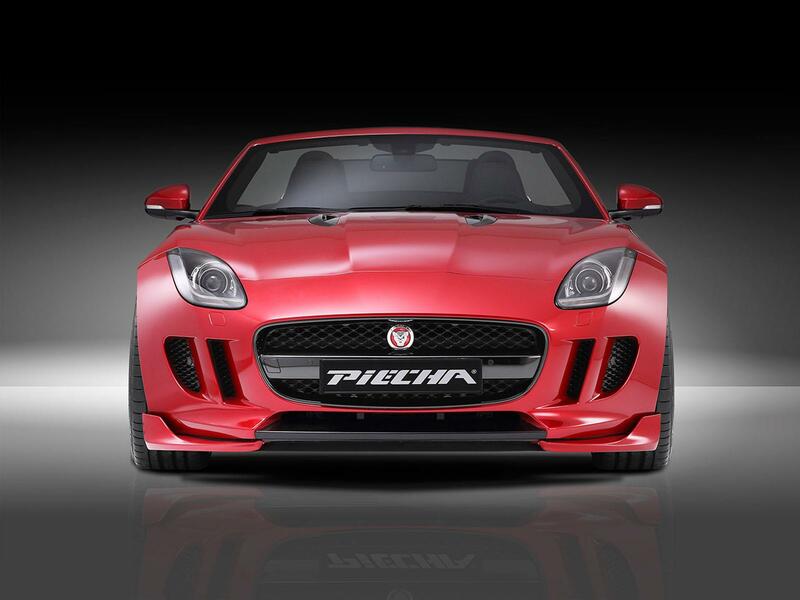 PIECHA Design of Rottweil, Germany, inspired by the passion and flair of the F-Type have now put their own design stamp on it, with aerodynamic styling components and alloy wheels that enhance the sporting flavour of the British Roadster. 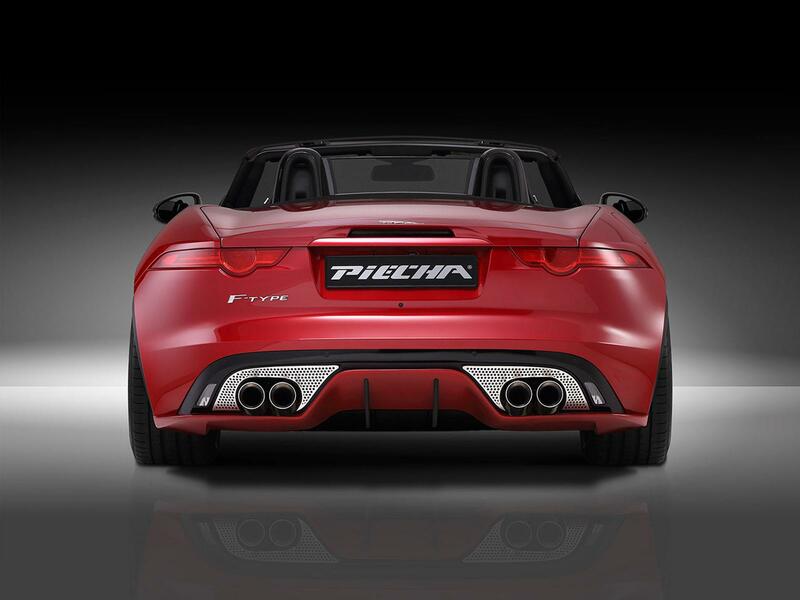 The aerodynamically sculpted Front-Cup-Wings clean up the air around the nose, reducing lift, while the side sill Wings integrate into the F-Type’s lower flanks, emphasising its sleek form and adding to its impression of width. 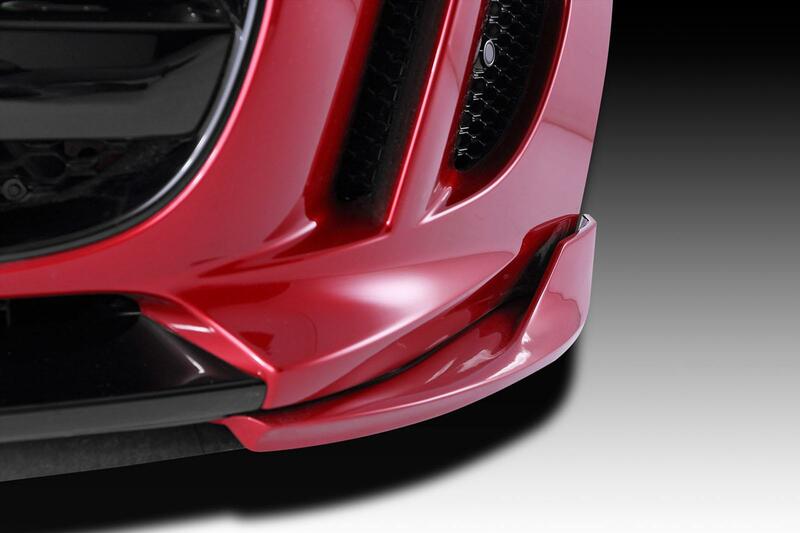 The black standard rear underbody diffuser lacks visual definition, so Piecha replaced it with a 40 cm wider design incorporating a pair of vertical stabilising fins to smooth the underbody airflow separation and reduce drag. 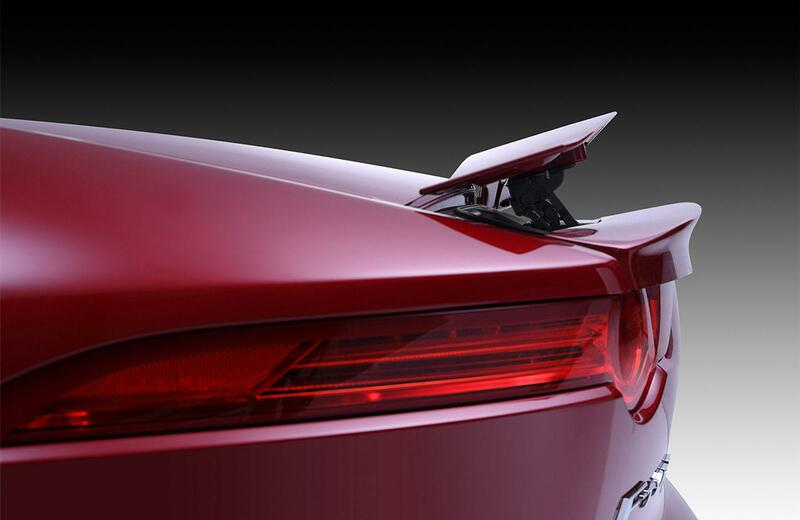 The contoured body coloured undertray and stainless steel grille inserts break up the visual mass of the diffuser area, and frame the four exhaust tail pipes. 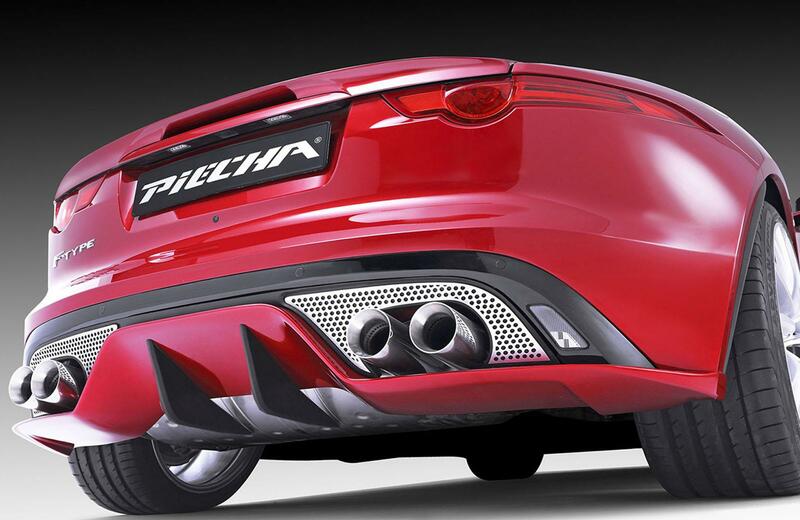 Piecha’s larger, bespoke, 90 mm trim pipe ends attach to the original tail pipes and deliver a crisper, more premium look. 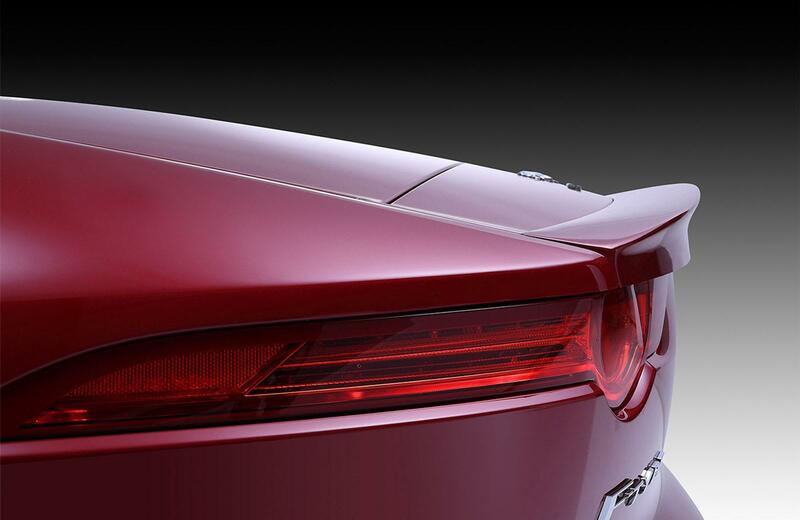 Comfort-Varioroof-Module. 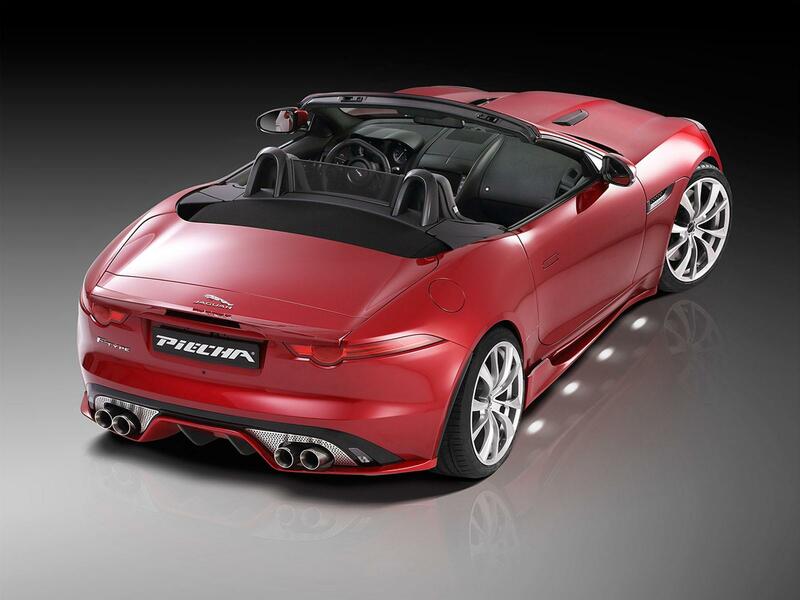 This includes One Touch roof operation and automatic window closing following convertible top operation with just three clicks of the standard key fob from a distance, plus a few other features.The complete Piecha Design Jaguar F-Type programme is now available for all 3.0-litre V6 and 5.0-litre V8 Roadster and Coupe variants.